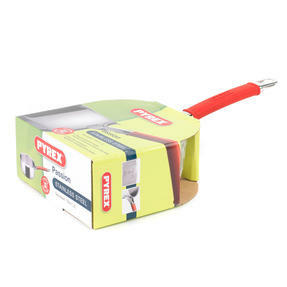 Enjoy safe and straightforward cooking with this high-quality 18cm saucepan and 20cm frying pan set from the Pyrex Passion collection. 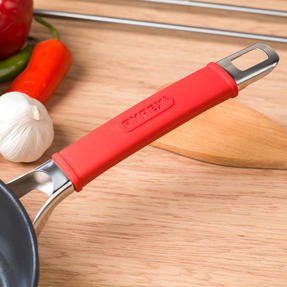 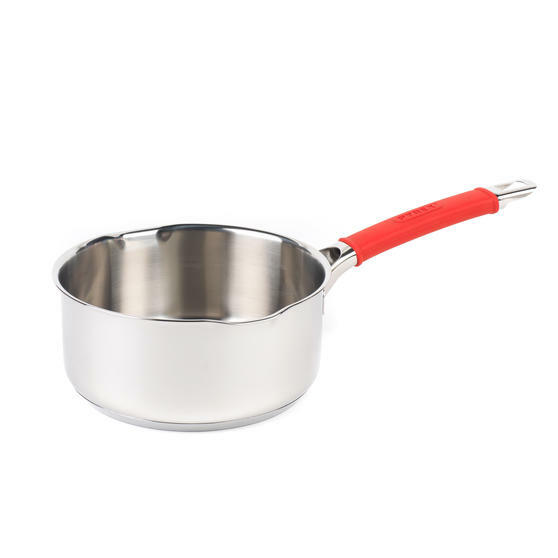 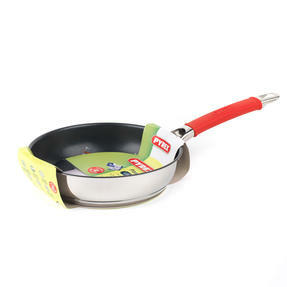 Made from durable 0.6mm stainless steel with silicone soft grip handles, these two pans are designed to be oven safe up to 200°C. 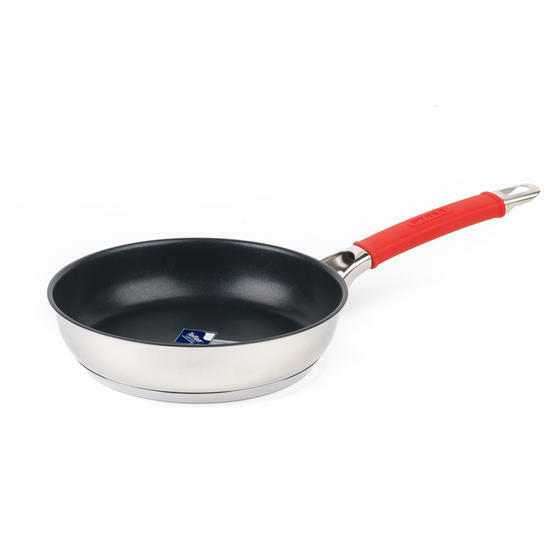 The Teflon Select® non-stick coating on the fry pan provides greater longevity and more resistance to abrasion than regular Teflon®. 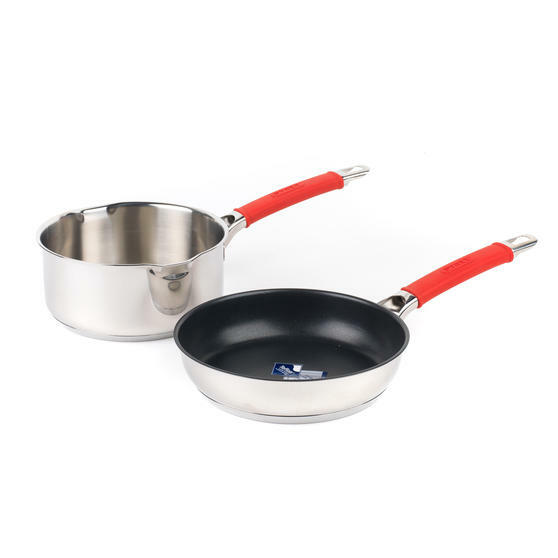 Both pans are dishwasher safe, with the saucepan also featuring internal measurements and a pouring lip for easy draining. 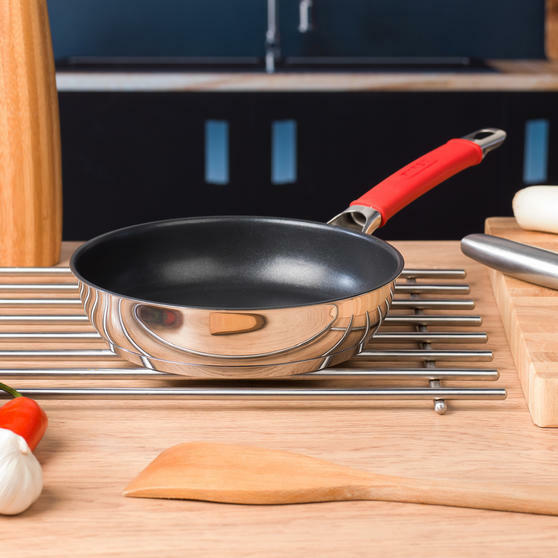 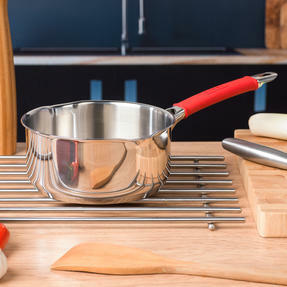 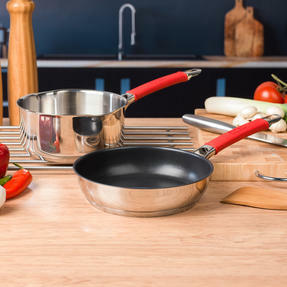 To suit all cooks, kitchens and abilities, these versatile pans can conveniently be used on all hob types, including induction.